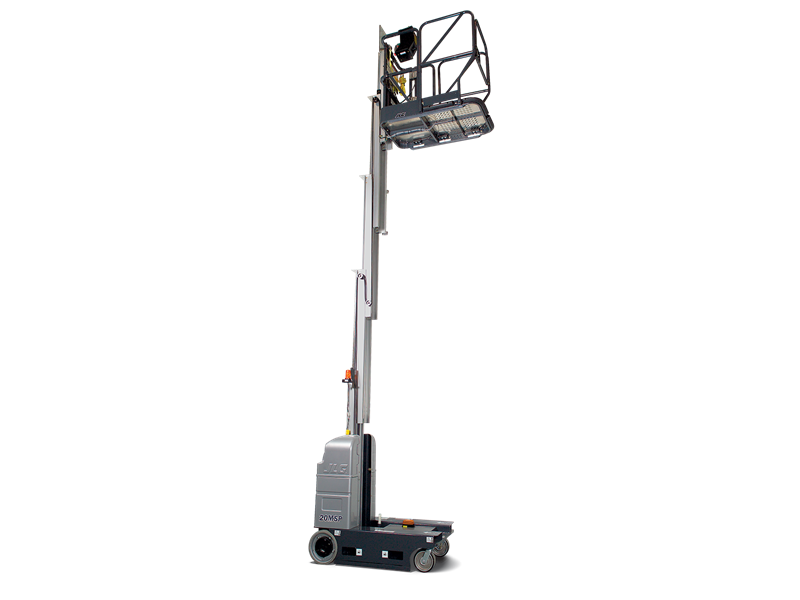 Virtually eliminating the need for scaffolding or ladders, JLG® driveable vertical mast lifts allow you to get closer to your overhead work and maintenance applications. Key Features of the 20MSP Driveable Stock Picker include: elevate and descend at various speeds, zero turning radius for superior maneuverability, built-in automatic charger for less downtime on the job, one-hand operation for increased operator comfort and driveable at full height for increased efficiency. You will be able to fit through standard doorways, maneuver your way through narrow aisles, and go more places then ever before. Vertical mast lifts are great for transporting supplies, lighting, routine maintenance, and even hanging holiday decorations.